Portrait of woman in retro style . Portrait of young beautiful woman in retro style . 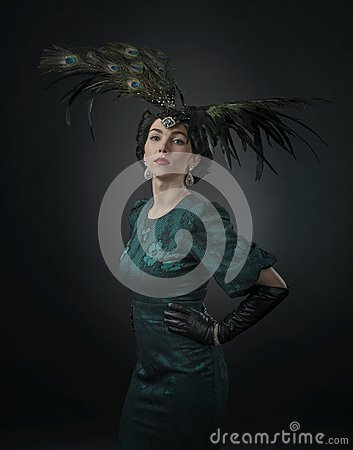 Headpiece with rhinestones and peacock feathers.